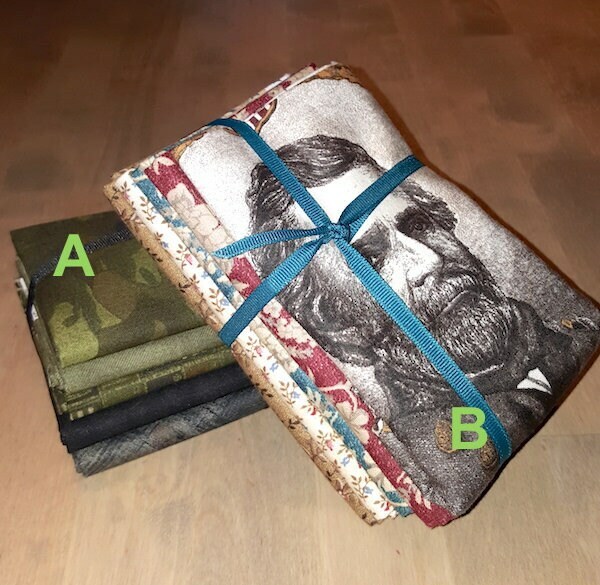 Half Yard Bundle called with 5 pre-cut fabric pieces of Army Greens / Civil War shades and prints. Two sets (A/B) of complimentary designs have been hand-selected in our shop. They are great for that special someone in the armed forces or for that unique craft project you're waiting to start or finish. Fabrics are 100% cotton. Includes hard to find "retired" panel from the Generals collection featuring Grant.